Twelve creative figures of Vienna are going to be awarded, tonight. 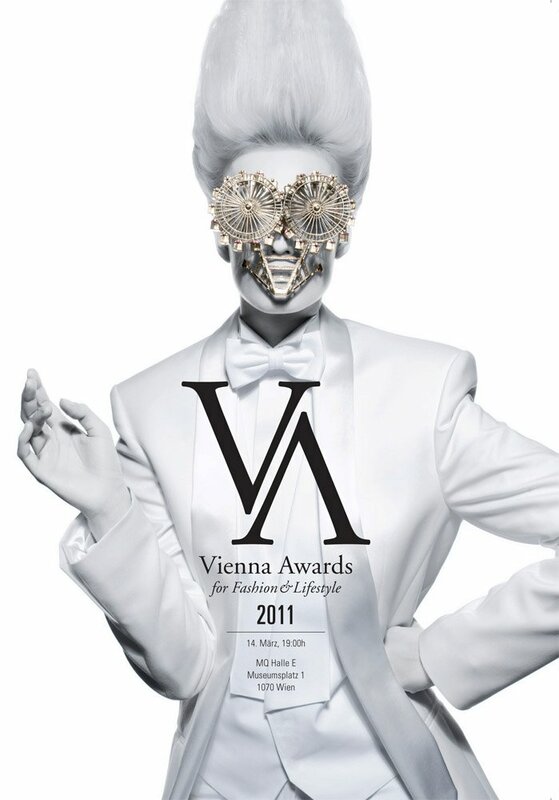 Watch the live stream starting at 7 p.m. (18:00 UTC) from the Vienna Awards for Fashion and Lifestyle. Hi, take a second look at the cool poster above, there is a symbol of Vienna hidden, do you know which? I am already looking forward to the Vienna Awards gala, which is taking place tonight. Unlike the Austria Fashion Awards, which focus more on the fashion designers, the Vienna Awards also recognize the creative people, who are often forgotten, but an important part of the fashion industry: the models, hairdressers, stylists, and fashion journalists. Unfortunately, no blogger is nominated this year, but I think this will change in the coming years considering the growing relevance and creativity coming from bloggers. But wait, at least one blogger (Maria from Stylekingdom) is part of the awards jury and the online platform austrianfashion.net is also nominated. So the new media is already represented.